The Ogre moves in on an unexpected new target as Gordon races against time to stop him. Gotham succeeded in doing the near impossible this week, as I now find myself interested in a story involving Barbara. That’s right, the show’s least likeable character has found herself thrust into the main storyline, and it’s actually heading in an intriguing way. My big worry from last week was Leslie becoming the Ogre’s next target, but they actually played cleverly with that. Sure, the scene in her apartment was straight out of the predictable horror movie cliché guidebook, but it complimented the Barbara swerve quite well. I guess the question now is whether or not Barbara will actually become the Ogre’s partner in crime. I’d seriously doubt that things will go anywhere near that far, but at least the show is trying to take character’s in unexpected directions. The investigation into the Ogre’s identity wasn’t all that interesting though, and I’d also call into question how exactly he got that nickname, considering nobody had seen his previously gruesome appearance. 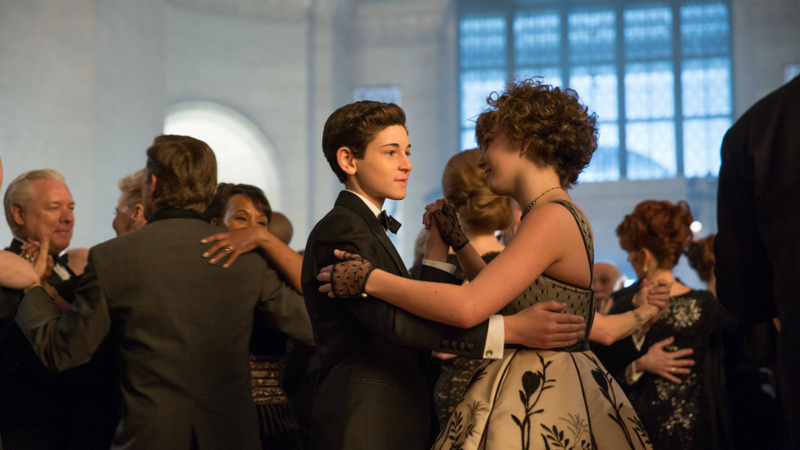 The Bruce and Selina material is fine, and I have to admit it was kind of fun to see them going on capers considering who they both will grow up to be. The Wayne Board stuff is starting to heat up a bit, and I’m hoping they can be built up into significant villains, or at the very least have them tied into Falcone in some way. I was looking forward to seeing how last week’s events with Reggie would affect both Bruce and Selina, and while there was an initial conversation about the morality of what they had just done, it was quickly dropped. I’m hopeful that they’ll come back around to this, especially when Alfred inevitably learns what transpired. Penguin’s material was also quite good, although I’m starting to get a little bored of his mother’s whole shtick. Nevertheless, I did enjoy Maroni’s move against Penguin. He may not be able to go after him physically, but he can strike close to home and turn his world upside down. Penguin kind of lost it at the end there and butchered that delivery guy, but he seems pretty focused on ending Maroni completely now. Now of course, with both Penguin and Maroni being Batman characters, it seems they would be pretty safe in the grand scheme of things. I’d be very interested to see them go “off-book,” though, and take Maroni out. That could really shake things up a little. Nygma has been in an upswing since the midseason break, and it all seems to have been building towards this episode. I haven’t always found him all that fun to watch when he’s on screen, but his gradual build-up towards becoming a full-on psycho has been handled fairly well by Gotham standards. His eventual lash out at Kringle’s new man Dougherty was a solid moment, and I especially liked how unhinged he became after stabbing him over and over again. What didn’t sit so well with me was how much of an abusive, jerk stereotype Dougherty was. I get that they were giving Nygma a victim that we could understand him killing, but Dougherty was a walking, talking cliché. “Under the Knife” was an enjoyable episode of Gotham. The character pairings pretty much all worked this week, and there were some interesting turns for several characters. This is still Gotham though, so it still had its problems, but I’ll just give it the win this time. Barbara elevating herself into the main storyline would normally be a cause for concern, but she shockingly wasn’t that bad. Now comes the wait until we find out whether she’ll be going full on dark side or not. Will Barbara actually step into the darkness with the Ogre, or will Gordon step in to pull her back? Tweet me @OldSnake24. And be sure to follow us @YouNerded!